Hartwell Parish Council provides 7 dog litter bins on its open areas in the village. 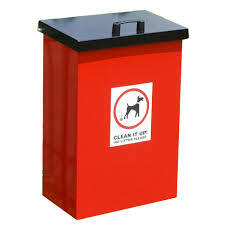 Please contact the Parish Clerk to report ay problems relating to dog litter bins. If there is no dog litter bin available, please use one of the black litter bins or take your used pooh bag home with you and place it in your own black bin.